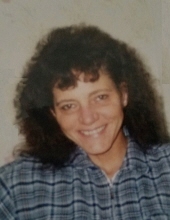 Marilyn Gillman 63 of Etna Green passed away at home in the care of her family Friday, November 2, 2018. Marilyn was born February 21, 1955 at Abbott, Kentucky, the daughter of Alex and Ruth (Hale) Hackworth. She has been a resident of the area the past 34 years moving here from Kentucky. Marilyn worked at ABC Industries at Winona Lake and as a waitress at the Etna Green Cafe and many of the local restaurants until her illness. On September 18, 1999 she married Everett Gillman who survives along with her two children: Elizabeth (David) Reyes of Nappanee, Douglas Owens of Etna Green; four grandchildren: Sadie (Chris) Avery, Chloe Reyes, Joaquin Reyes and Baelin Owens and two great-grandchildren: Marilyn and Kylin. Three sisters: Cheryl (Jim) Conklin of Argos, Gearldene (Henry) Webb of Bonanza, Kentucky, Theda Hackworth of Martin, Kentucky; two brothers: Jack (Jackie) Hackworth of Tippecanoe a d Bob (Janey) Hackworth of Martin, Kentucky. She was preceded in death by her parents, her sister Marlene Hall and her two brothers: Bill and Jim Hackworth. The Deaton-Clemens Funeral Home is honored to be in charge of the arrangements for the family. A memorial celebration for Marilyn will be held on Tuesday, November 13th from Noon - 1:00 PM in Deaton-Clemens Funeral Home 115 S. Main St. Bourbon, Indiana 46504. A Memorial services follow at 1:00 PM. To send flowers or a remembrance gift to the family of Marilyn Gillman, please visit our Tribute Store. "Email Address" would like to share the life celebration of Marilyn Gillman. Click on the "link" to go to share a favorite memory or leave a condolence message for the family.